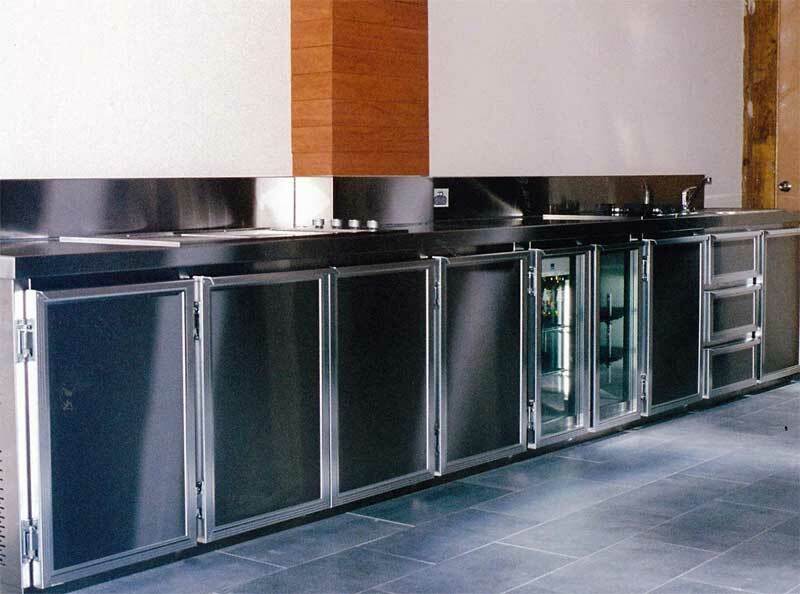 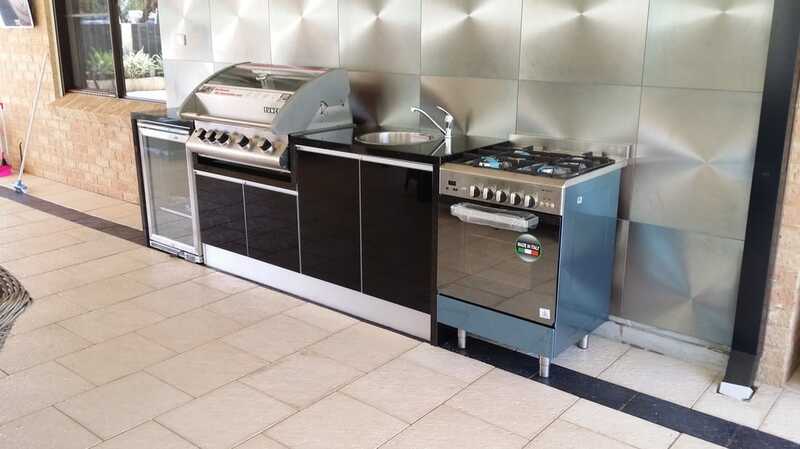 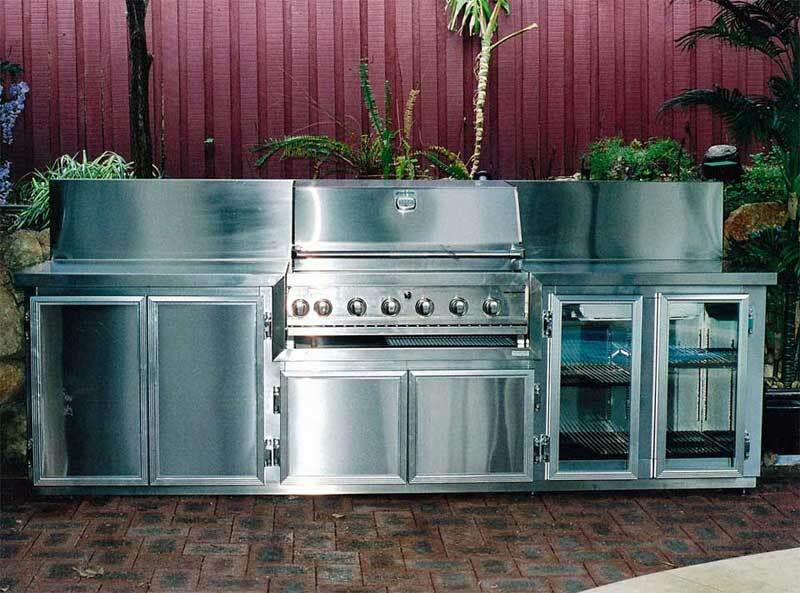 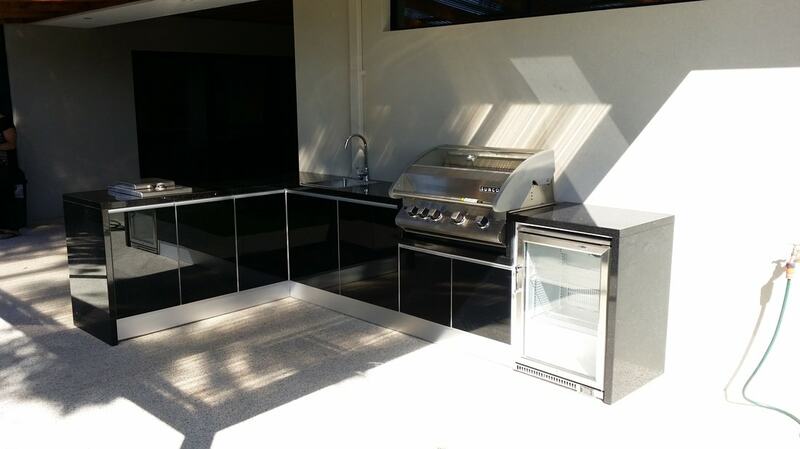 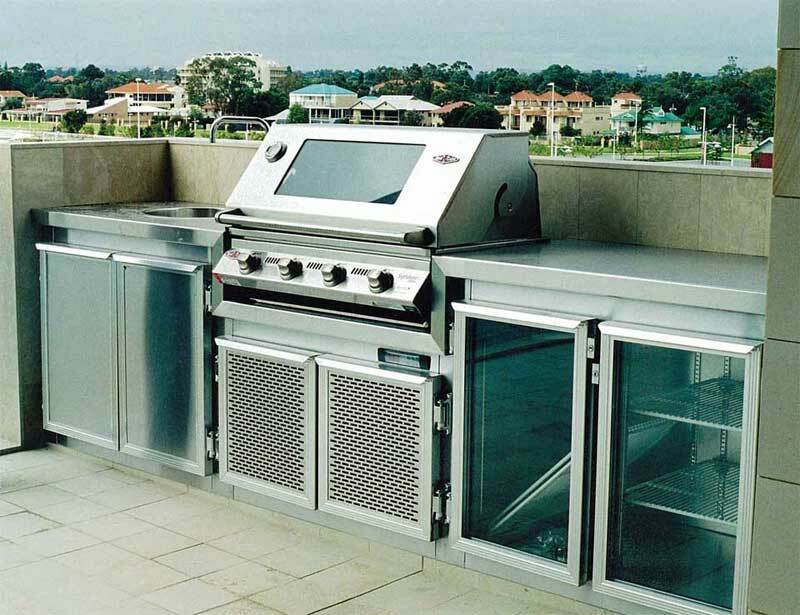 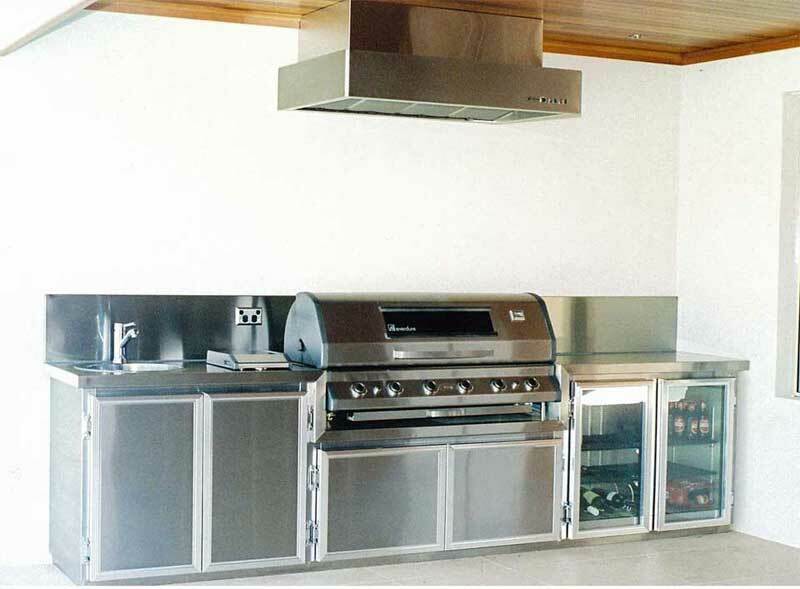 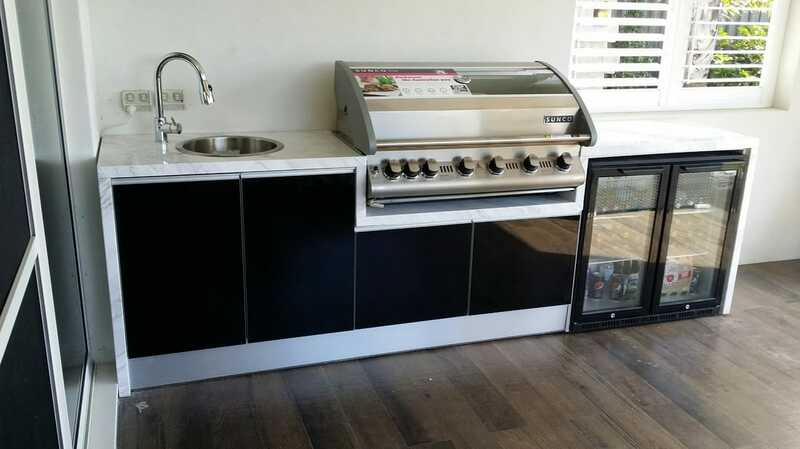 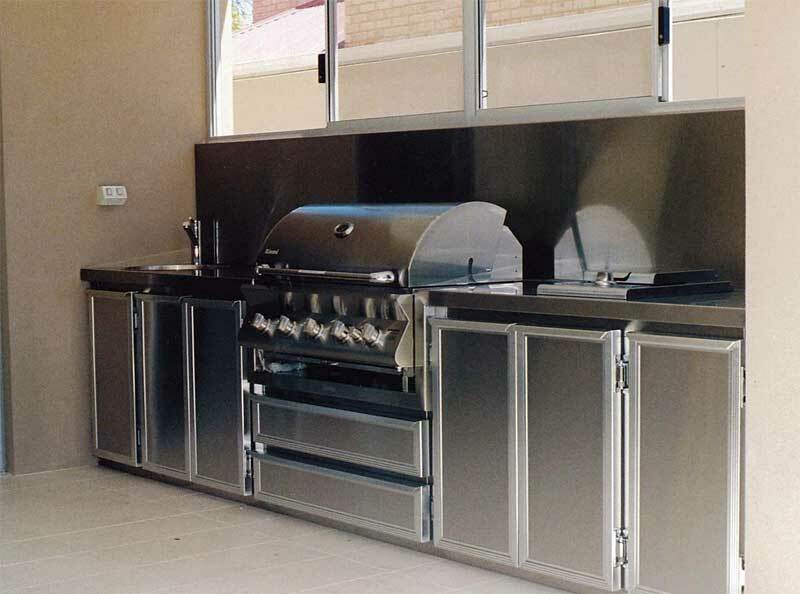 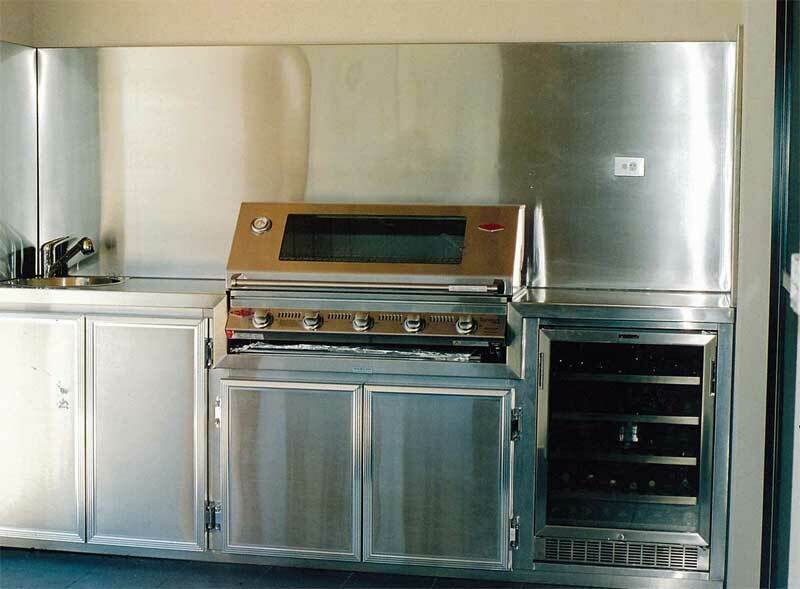 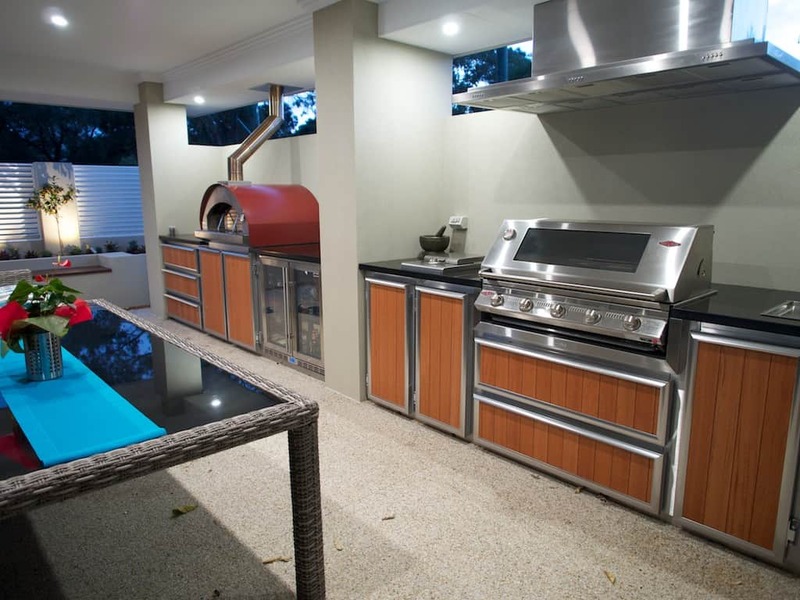 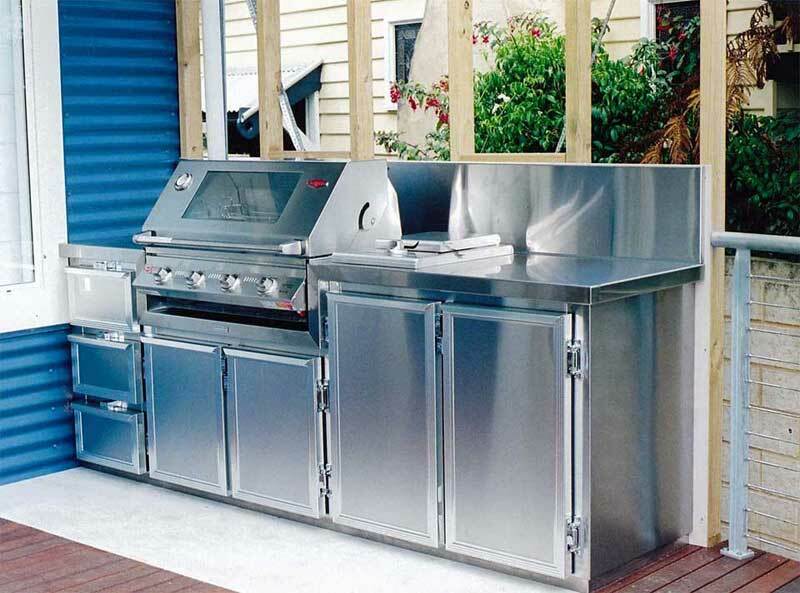 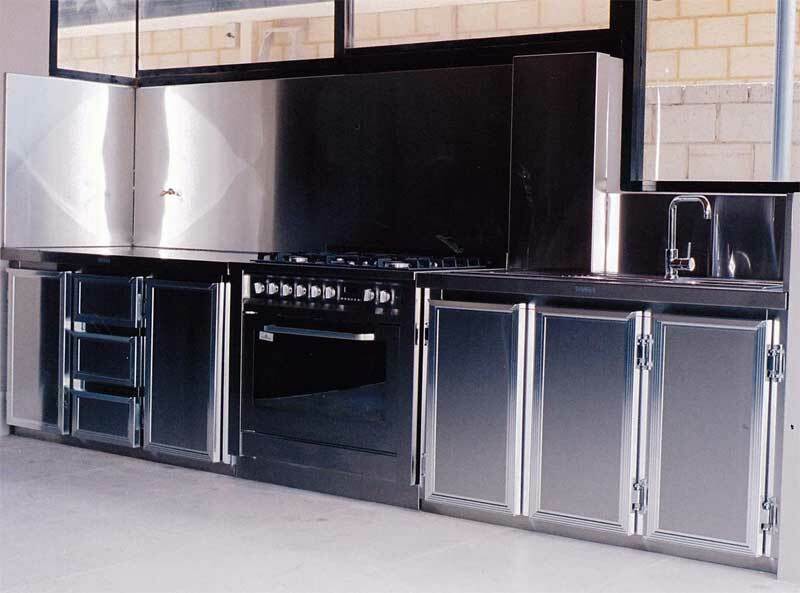 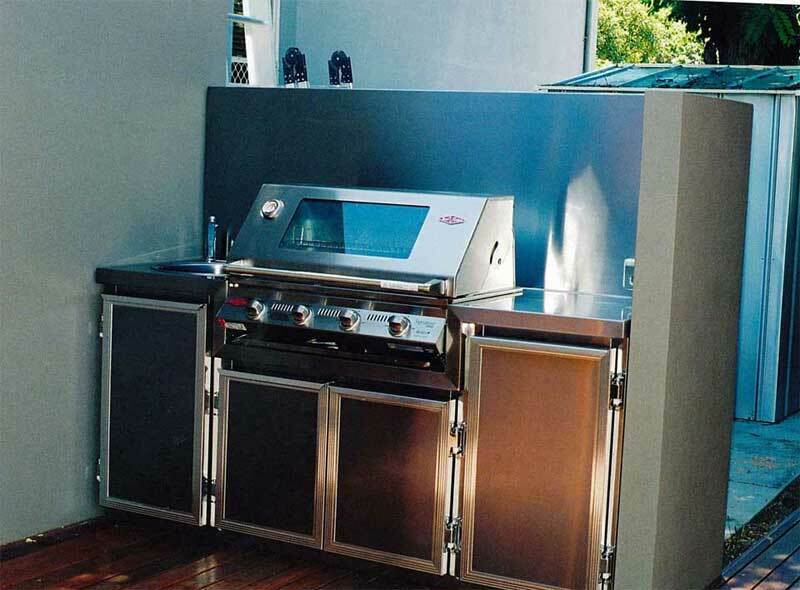 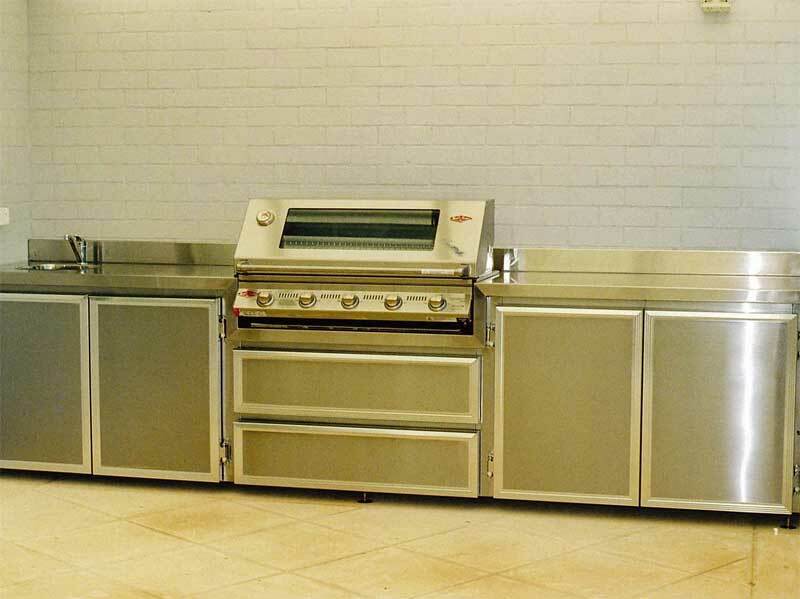 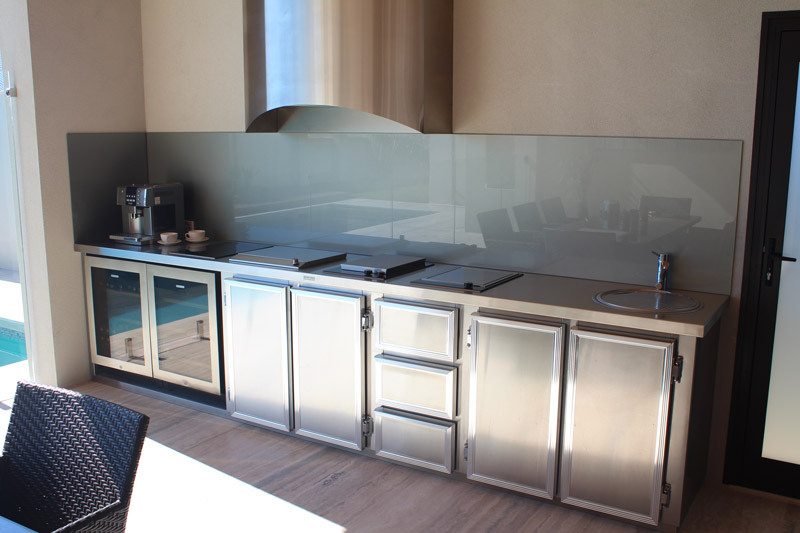 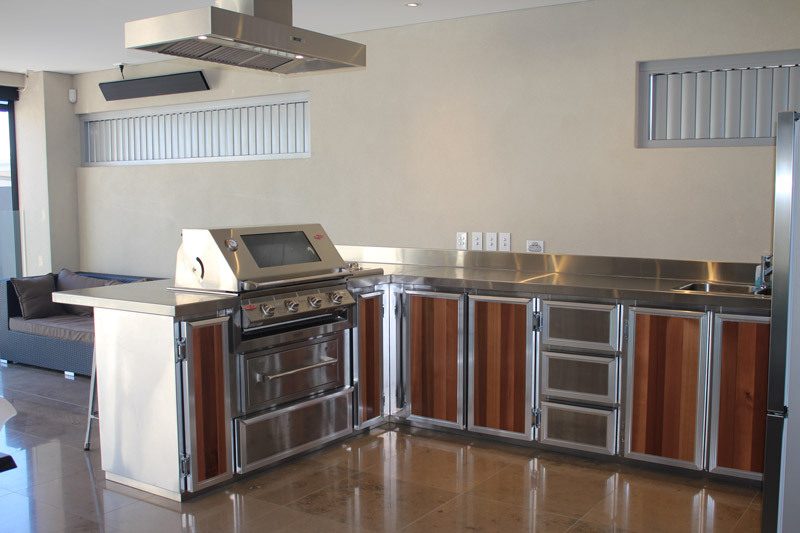 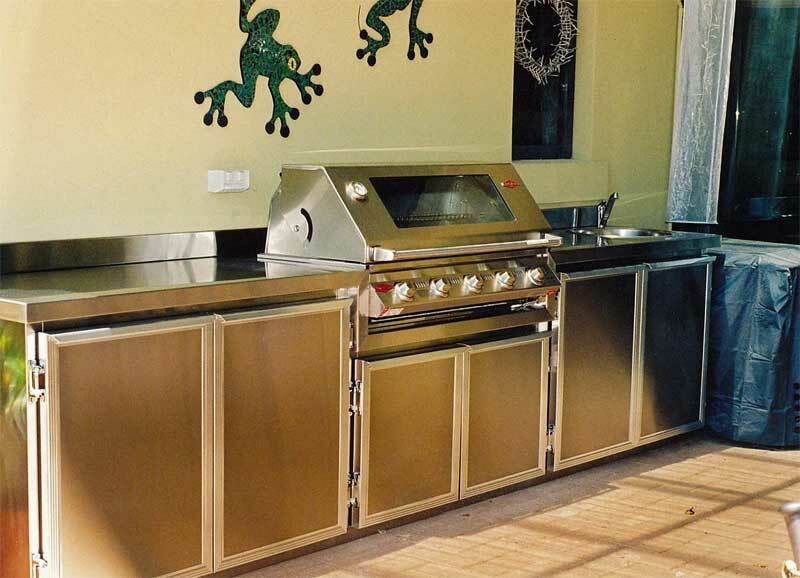 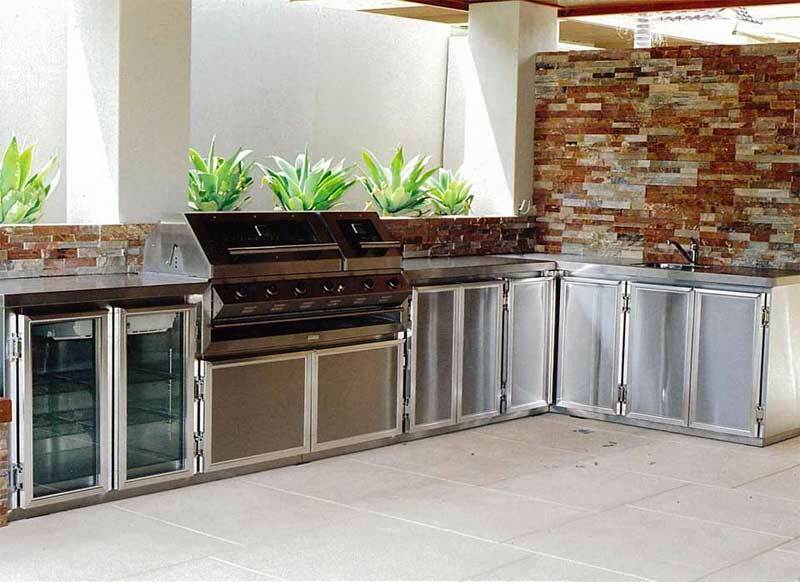 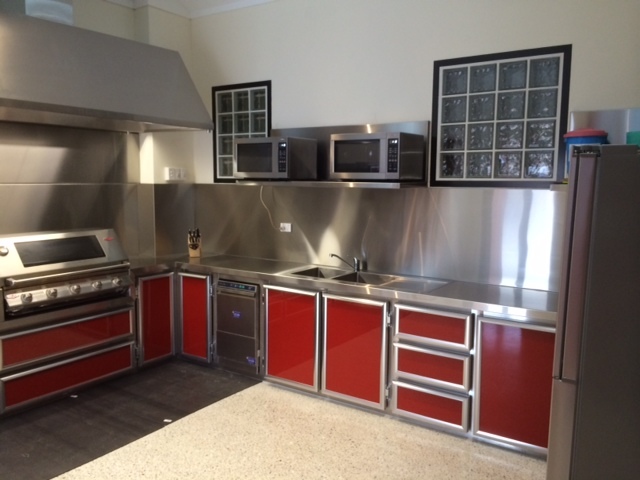 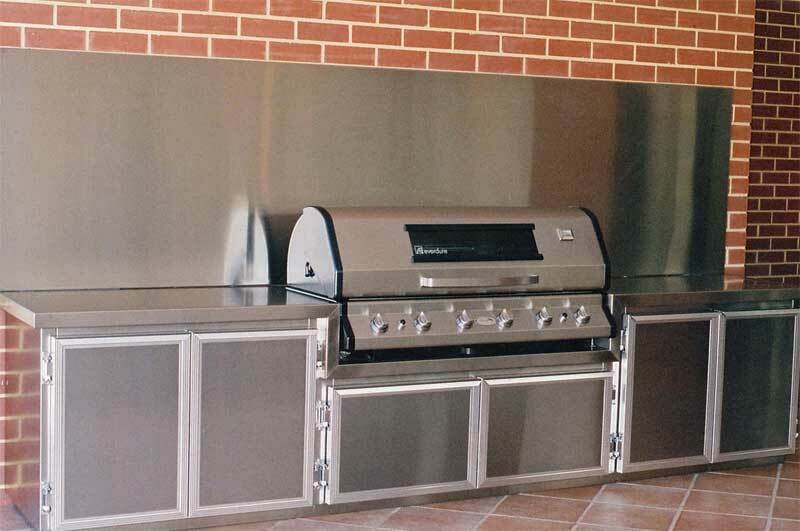 At Barbecue Bazaar we deal with major manufacturers and several different high quality cabinet makers to enable us to put together beautifully crafted Outdoor Kitchen packages that meet your needs, expectations, and budget. 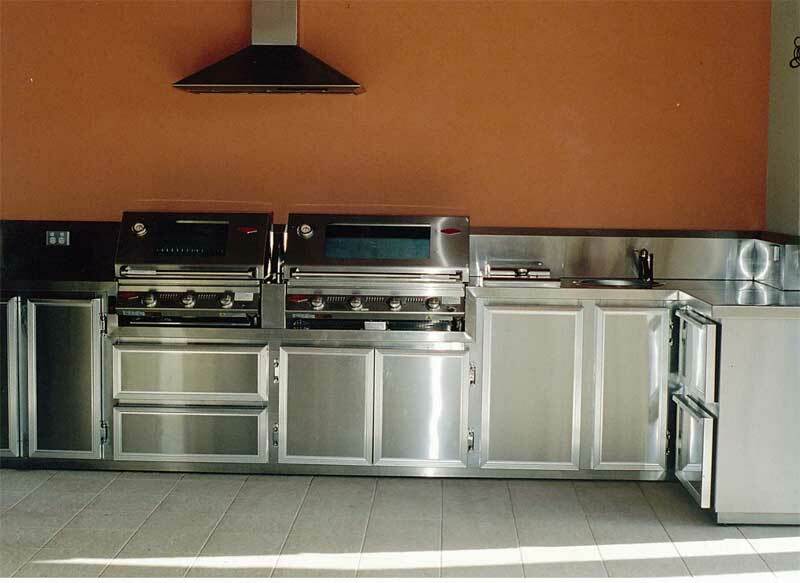 We will help you with design and, because we are independent, you can choose from a wide range of products. 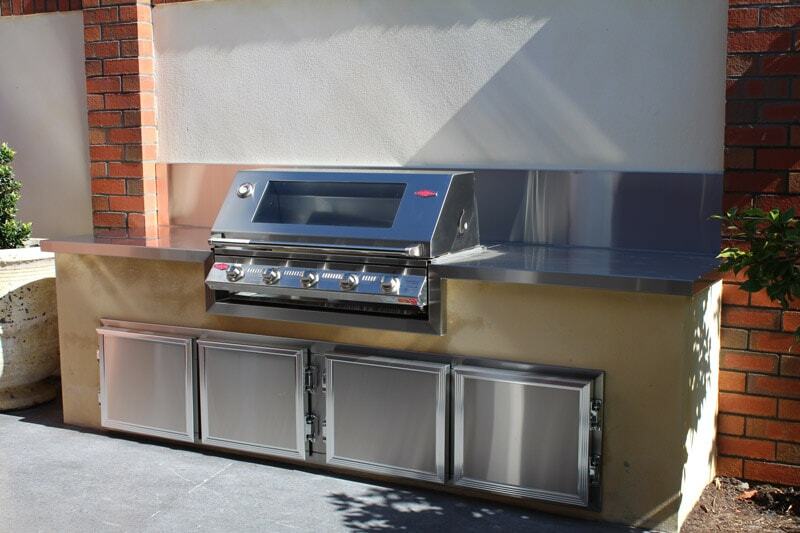 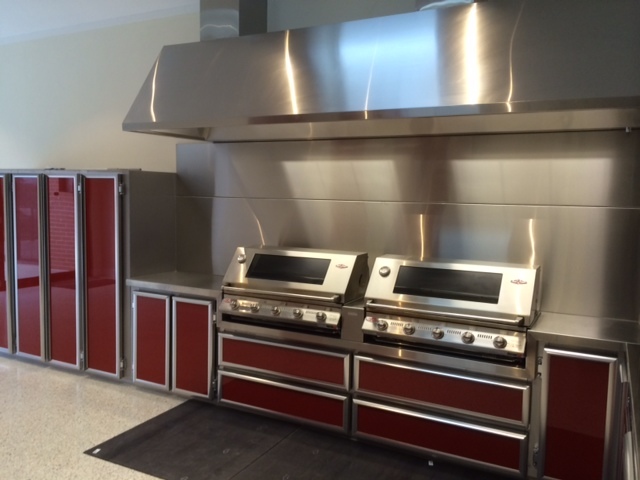 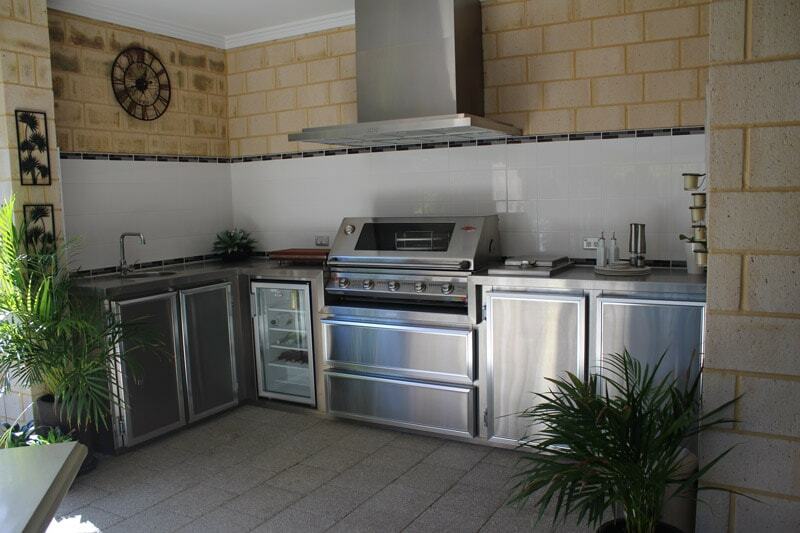 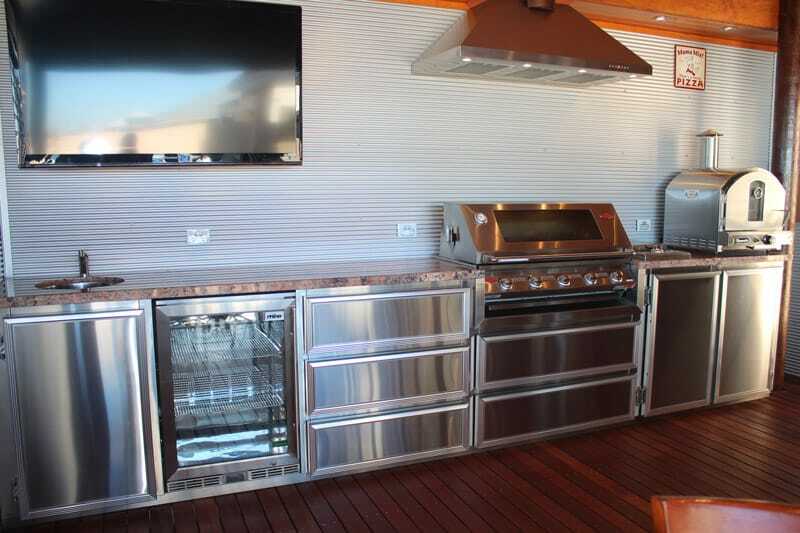 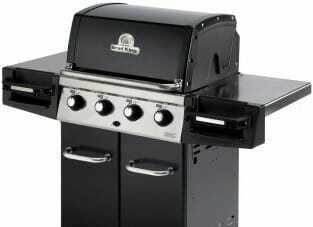 We will have the barbecue, side burner, fridge, and range hood that suits you and your alfresco kitchen area. 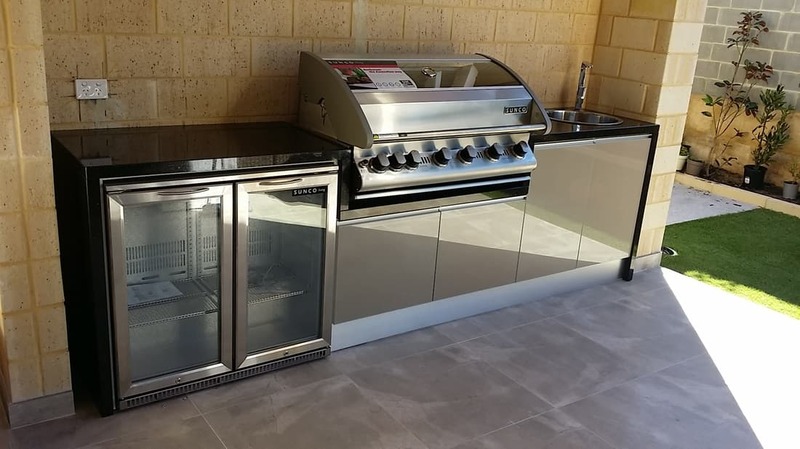 Step 1: Run a tape measure over the area you want us to fill then come into one of our conveniently located stores to inspect our Outdoor Kitchen display and to discuss your needs. 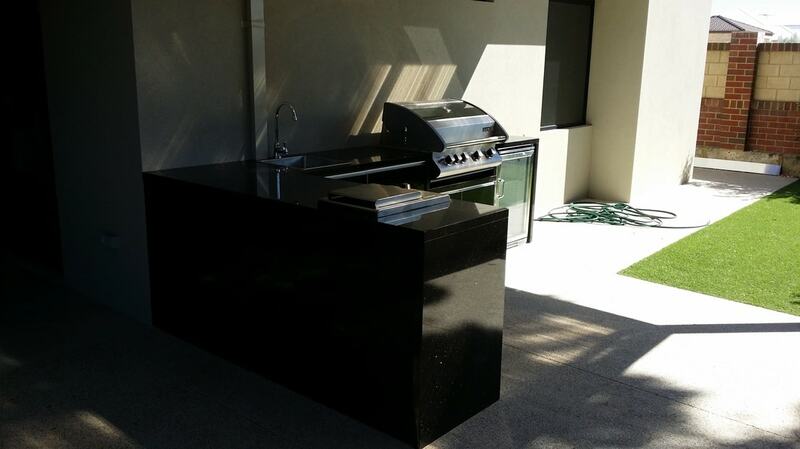 In most instances we are able to give you a firm quote on the spot. 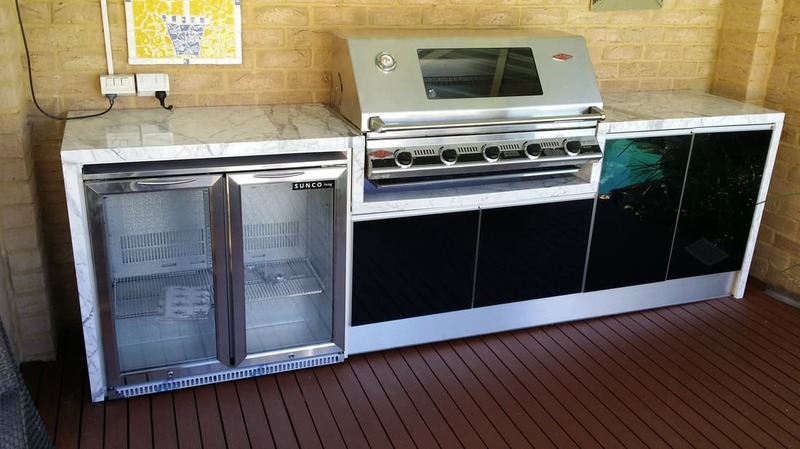 Step 2: Once you have placed a deposit on your Outdoor Kitchen, one of our installers will drop into your home to do a professional measure. 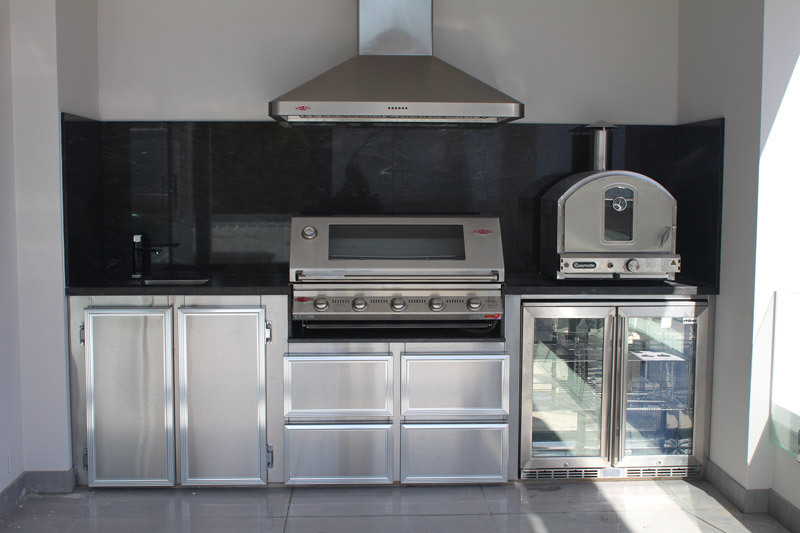 We do not do household plumbing or electrical but this is a good time to discuss what you need to do. 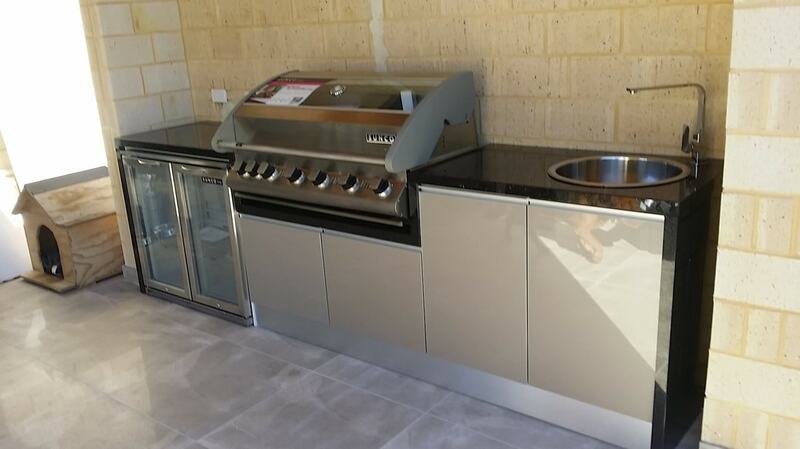 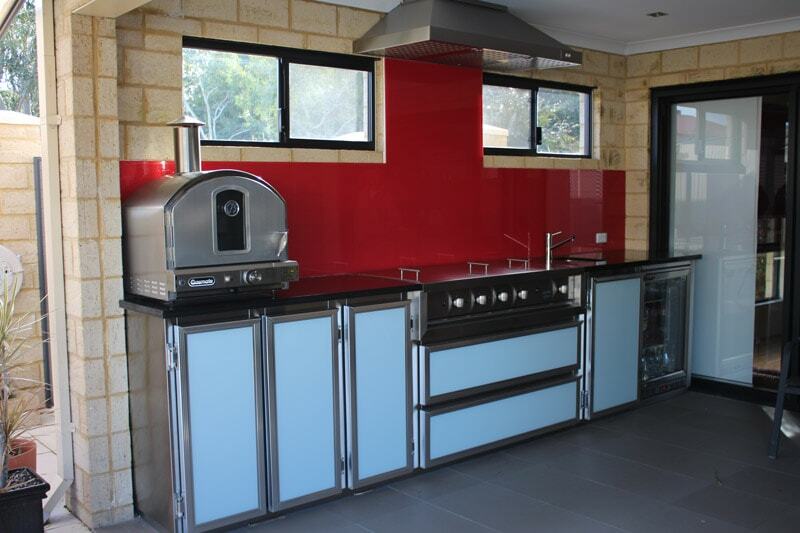 Step 3: Your new Outdoor Kitchen will be installed by skilled tradesmen (usually within 4 weeks of placing a deposit). 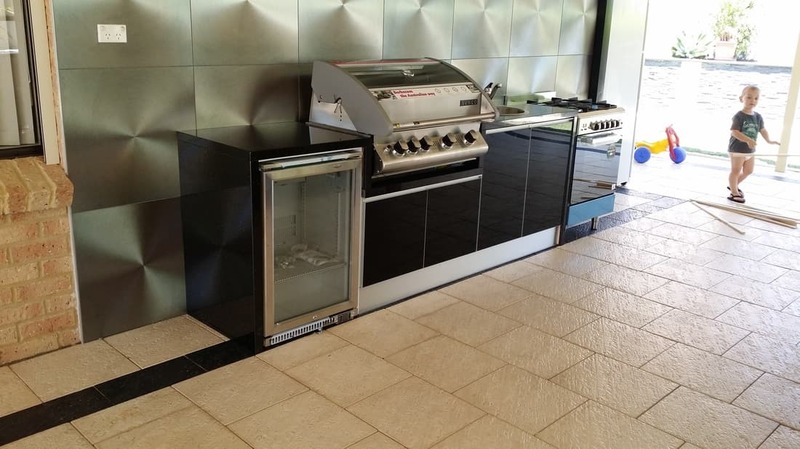 After that it is time to sit back and enjoy the excellent new addition to your home.